Twelve orbits a day provide the MOC wide angle cameras a global "snapshot" of weather patterns across the planet. 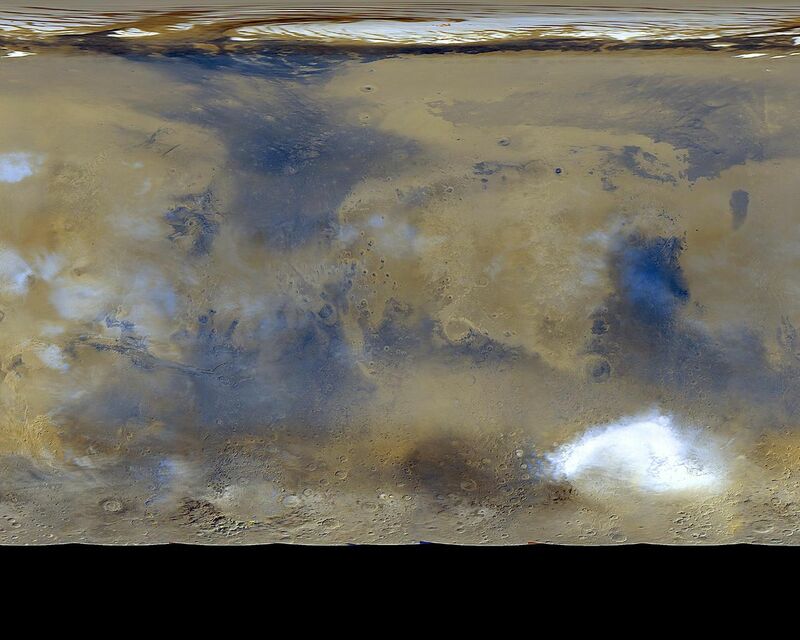 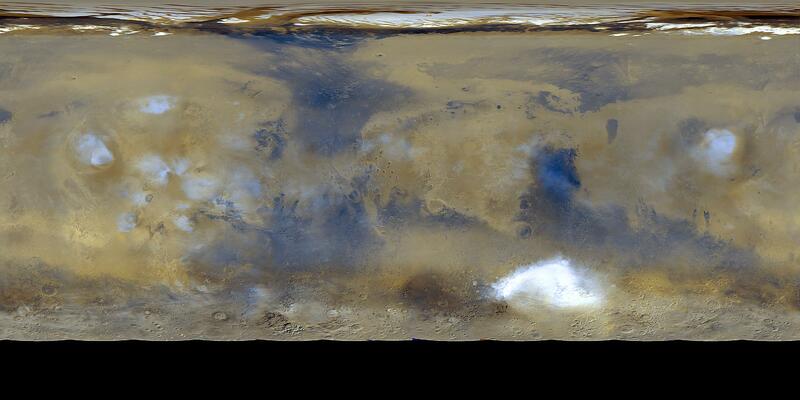 Here, bluish-white water ice clouds hang above the Tharsis volcanoes. 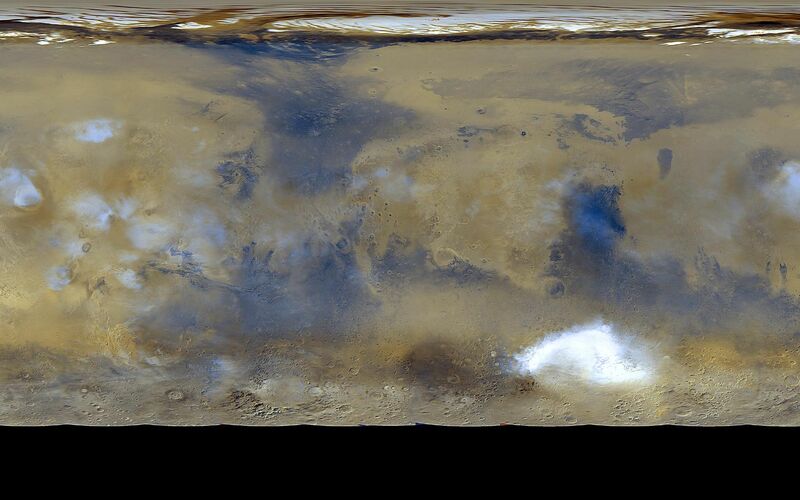 The map is a mosaic of 24 images taken on a single northern summer day in April 1999. <!--p>Click here for a full resolution version of this image.